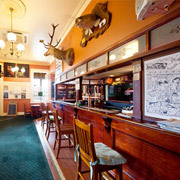 The main bar is an ideal meeting place, cool in summer , warm in winter. 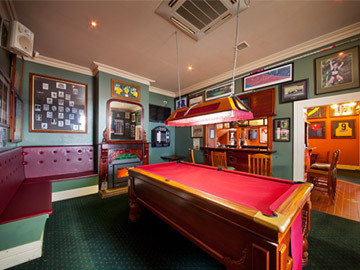 Patrons can enjoy a range of regular beer, boutique beer and Guinness and Cider which is all on tap. 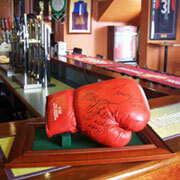 It has a unique display of sporting memorabilia, a pool table, video juke box and an open fire in winter. 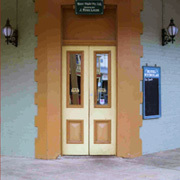 The Bar itself, contains salvaged timber, milled from the timber supplied to the Beechworth Railway, by the Burkes Holes Mill at Greta, during the period when Ned Kelly was the overseer. 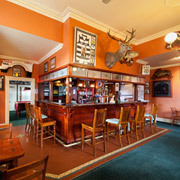 There is live music in the bar every Saturday night and on other special weekends.